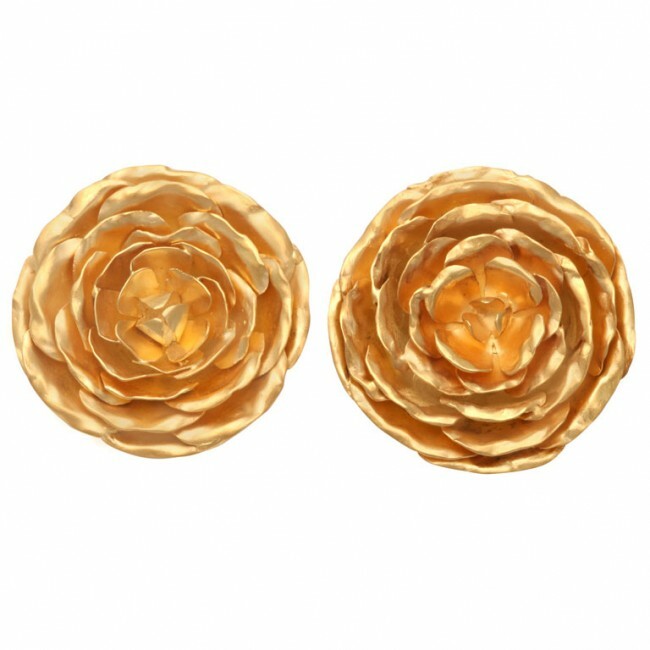 A pair of 18kt yellow gold peonies earrings. The earrings have collapsible posts and omega backs. The peonies measure 1 1/4″ in diameter.